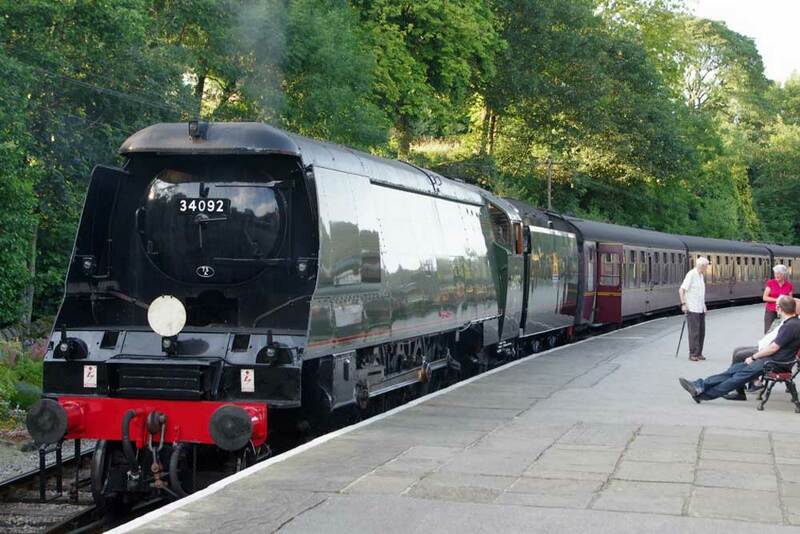 Brand new video from Steaming Around Yorkshire, ‘From the Footplate’ is now in stock at Haworth Station. The video takes us on board the footplate of Midland Railway 4F 0-6-0 43924 as it climbs the Valley from Keighley to Oxenhope giving the viewer a unique view of the activity on the footplate, as the crew battle with the KWVR’s punishing gradients, and the locomotive’s action below footplate. 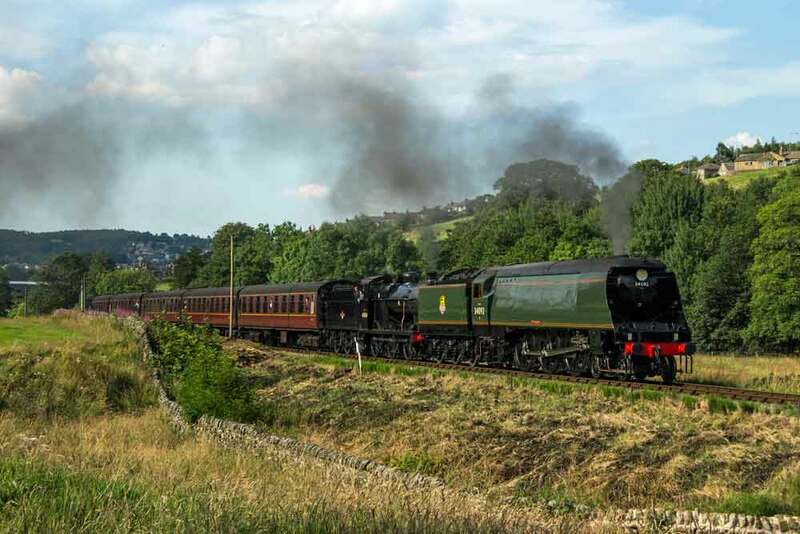 Here is a short extract from the video to give a taster of what it is like to ride the Valley rails on the footplate of a steam locomotive. 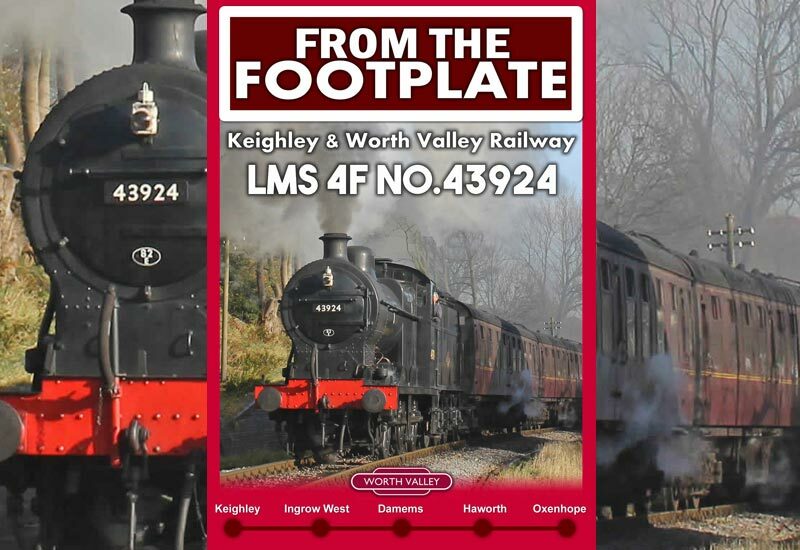 Priced at £12.95 call in to the Haworth shop for your copy, call 01535 640464 (11.00 to 16.00 Monday – Friday, 10.00 – 17.00 Saturday & Sunday) or email shop@kwvr.co.uk. As always the KWVR Galas are very popular with photographers and the 2015 Winter Steam Gala was no different. If submissions are a yardstick to measure popularity, then Friday was by far the most productive day. With the Pennine weather closing in on Sunday, the conditions were best described as ‘atmospheric’ as Gary Holmes’ image of 43924 and 34092 leaving Keighley testifies. Here is a small selection of photographs taken across the 3 days and the full collection can be viewed by clicking HERE to see all the weekend’s images. Our gallery photographs are courtesy of photographers Neil Harvey, Inspirational Images, Colin Smith, Chris King, Craig Elias, Richard Beckett, Ian Dixon, Gary Holmes, Matt Berry, Steve Boreham, Neil Colls, and Ralph Berry. 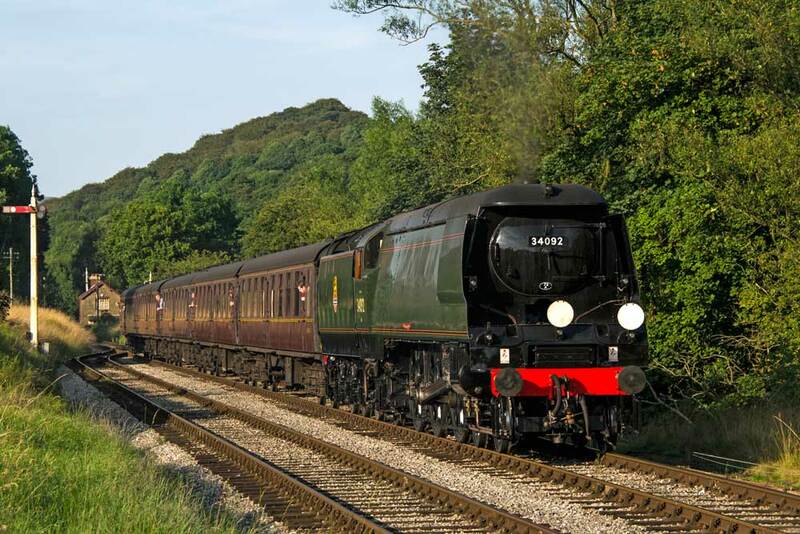 West Country Pacific 34092 ‘Wells’ has been on tour in Wales for the Llangollen Railway’s Steel, Steam & Stars IV, two weekend gala which raises funds for the 6880 Bretton Grange Society, builders of ‘new-build’ GWR ‘Grange Class 4-6-0 6880 Bretton Grange. 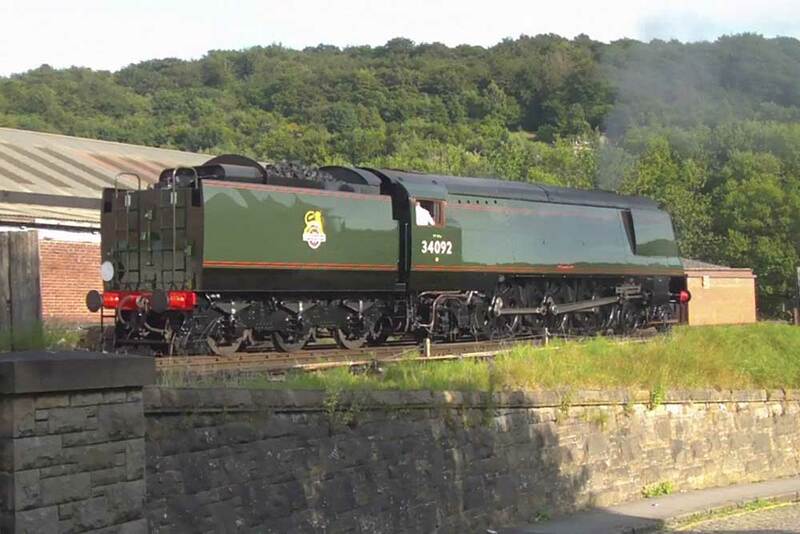 KWVR regular contributors have been at Llangollen in force with both cameras and video recorders and we will be bring you the best of their work as soon as their digital developing labs will allow. 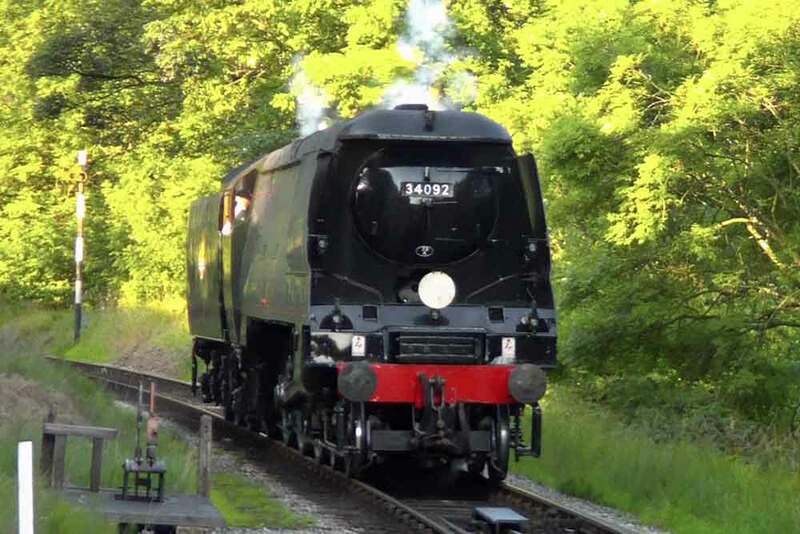 Originally not scheduled to operate at the weekend, Kenneth Baker’s video captures LMS 5MT 4-6-0 45305 in fine form from Keighley to Oxenhope. A well produced video of two engines not part of the usual fleet – LMS 5MT 4-6-0 45305, before leaving the Railway for Crewe, and LNWR 0-6-2 ‘Coal Tank’ 1054 on the vintage train. No event would be complete without the Penny Steam video. Here is a short taster of the weekend’s gala, the full length version can be seen on YouTube, click here. No Worth Valley event would be complete without the customary video from Penny Steam, and yet again Ken and his faithful companion, Penny, do not disappoint with this preview of his video of the Haworth 1940’s celebration, titled It Ain’t Half Hot, Dad for very obvious reasons on a beautiful hot Spring day. Click here to see the full video of the days events. 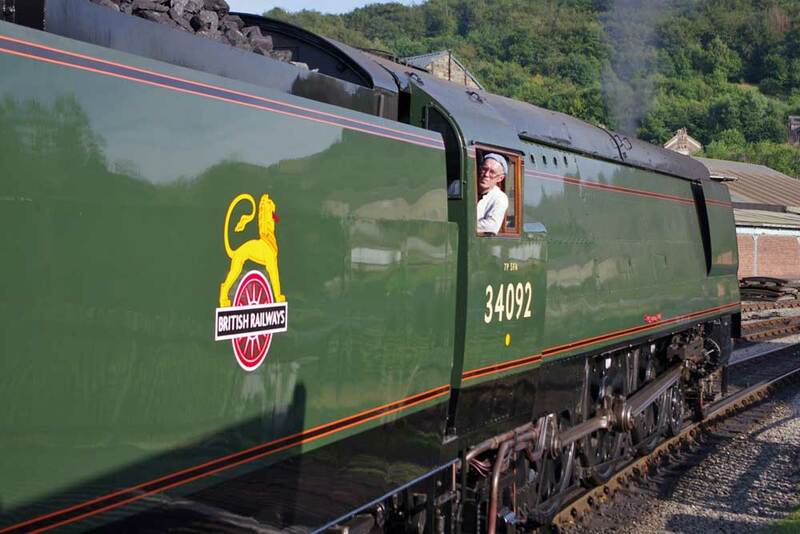 Filmed from the footplate on 16th March on the run from Keighley to Oxenhope. The locomotive carried a wreath on one journey of the day, in memory of Vic Benson, Society member no.2 who sadly passed away recently, see separate story. After the return to traffic of ‘Big Jim’, the sight and sound that everybody has been waiting for – 34092 ‘City of Wells’ moving under her own steam. This video shows proud owner Richard Greenwood at the controls. A pull on the whistle and ‘City of Wells’ is back on the move and ‘Big Jim’ joins in the scene as the 2 new locomotives exchange whistles. After weeks of speculation as to when the West Country pacific would steam out of Haworth yard under its own power, the time came at precisely 5.35 on the last day of the Winter Steam Spectacular, sadly after most attendees had left the Railway and with the light fading, the restorers had finally completed their preparation and, with owner Richard Greenwood on the regulator, the locomotive moved slowly out of the yard and under the Bridgehouse Lane bridge, for the first time in over 25 years. There is still much to do before it enters regular service, but the end of this thorough restoration is now well and truly in sight. Earlier posts have shown the mirror like finish on the left hand side and the painting of the engine and tender should be completed during the coming week. The number transfers, as the illustration shows, are ready, just waiting for the day when lining out is complete. In addition the locomotive has now been weighed successfully. 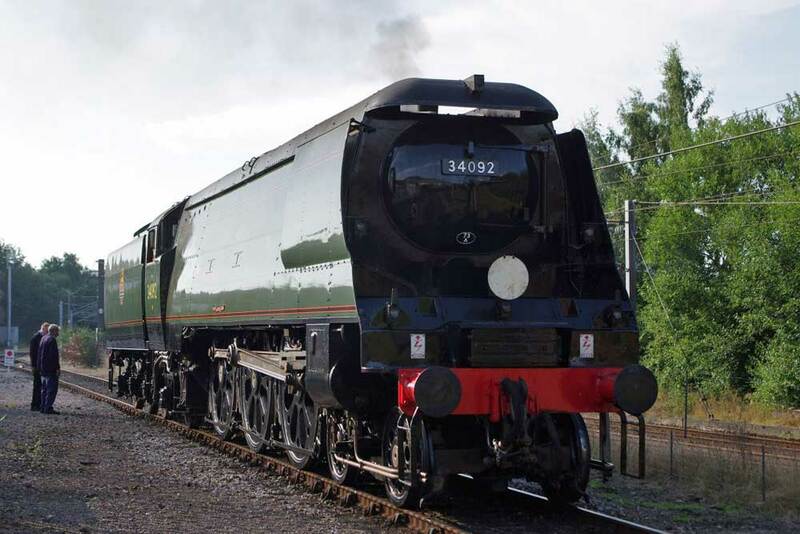 Just to remind everybody what we have been missing and, therefore, what we can look forward to, the video below shows 34092 ‘City of Wells’ in her previous re-incarnation. 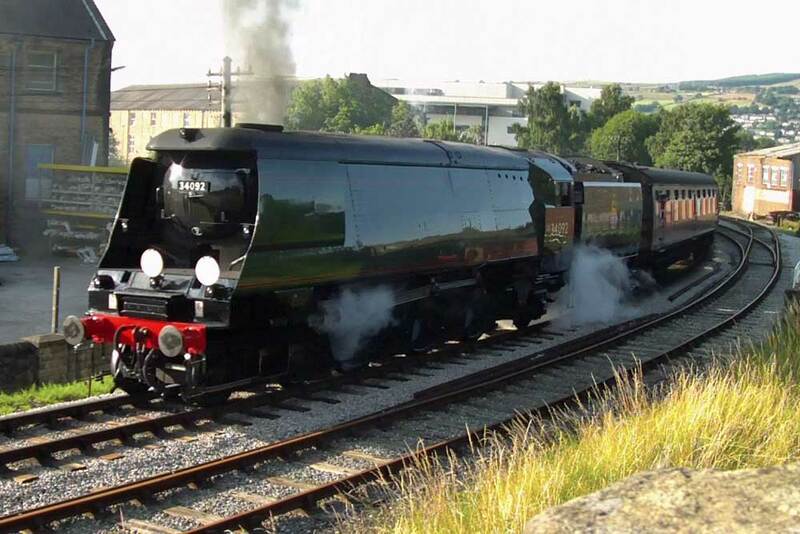 As we all wait with bated breath for ‘City of Wells’ return to active service, the excellent video below, ‘Salisbury Steam Finale’, which will be of great interest to railway enthusiasts in general and followers of ‘City of Wells’ in particular, has recently been released into the public domain. 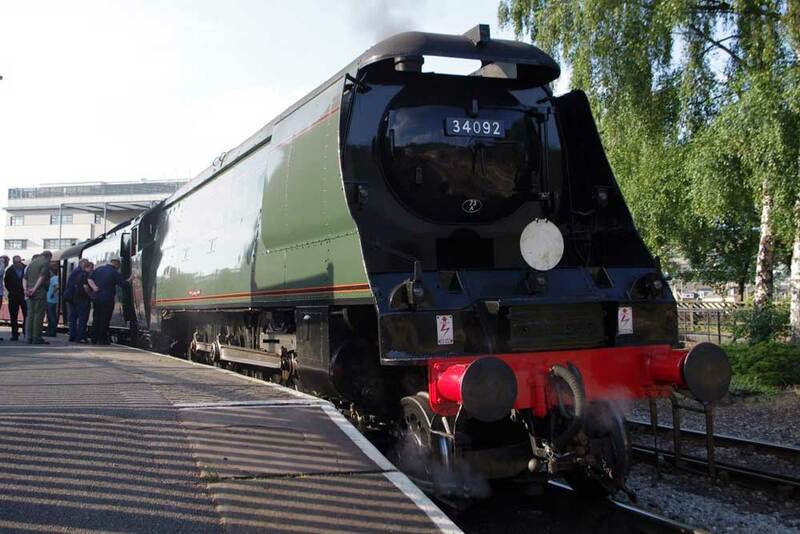 This video was produced for Spa Films and records the memories of Tom Doel, fireman on a Southern Region special filmed trip with City of Wells being preceded wrong line by a diesel and observation coach filming the steam hauled ‘Atlantic Coast Express’. 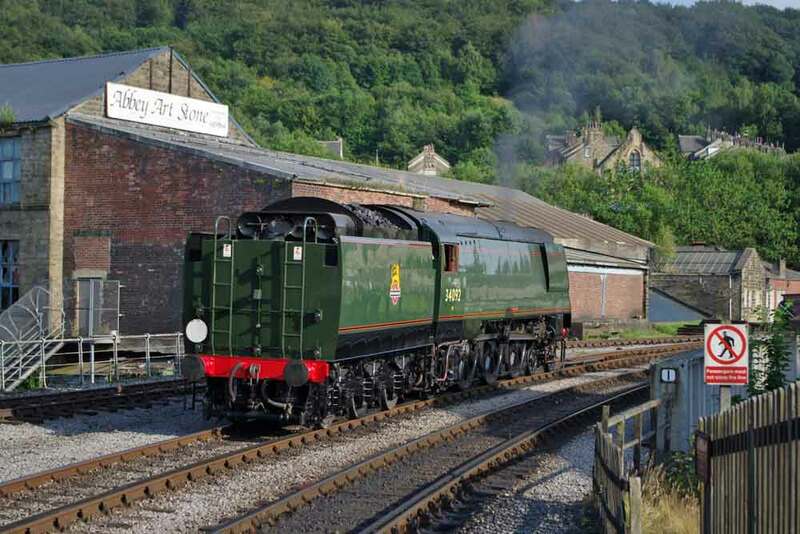 Following on from Christmas showing of the favourite children’s film, The Railway Children, the spotlight once again turns to the railway where the original film was made, the Keighley & Worth Valley Railway. Whilst Jenny Agutter (Roberta [Bobbie]), Gary Warren (Peter) or Sally Thomsett (Phyllis) or any other of the actors in the film will not be there on the day, a local contingent will play the various characters and re-enact scenes from this wonderful and ageless film. 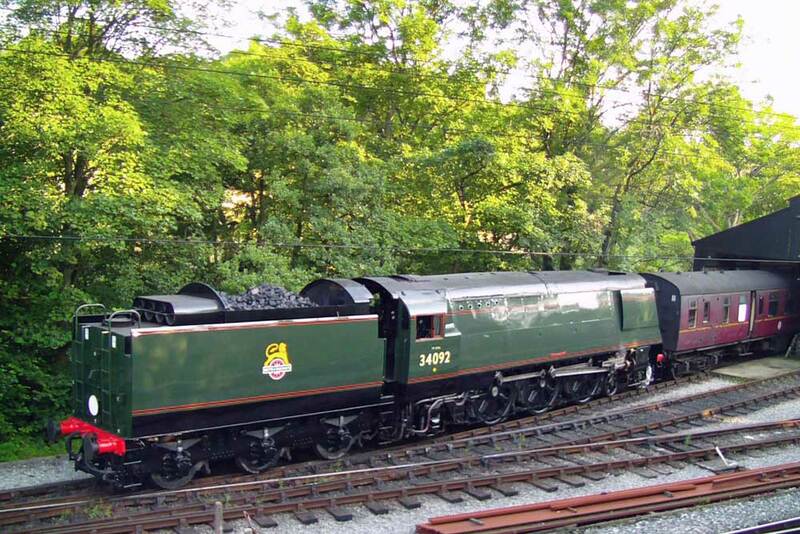 Sadly the Green Dragon and the other engines in the film are currently retired from active duty but engines from the current operating fleet will play the star roles those retired engines fulfilled in the film. Click here for more details on the main website. 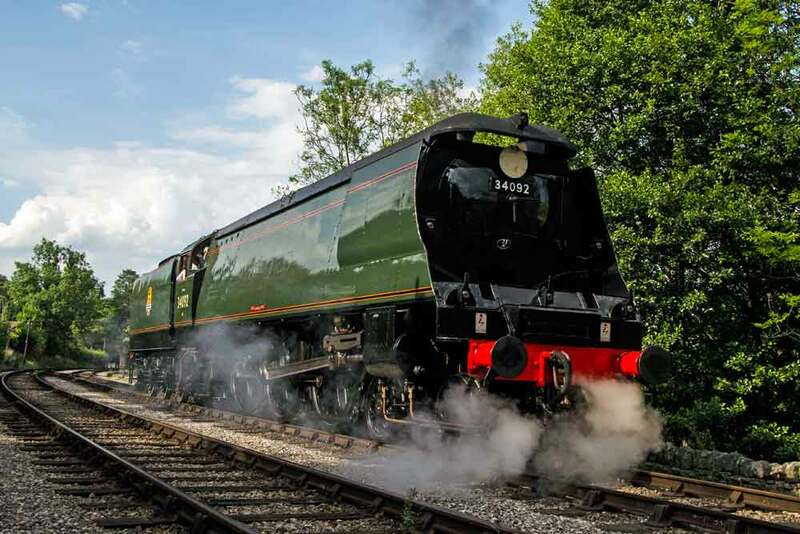 This event has become a must visit on the Worth Valley Railway calendar, so take a look at this video by Mollsmyre to see what the day has in store. Readers may also like to view the excellent short video from the On Location TV program that looked back at filming of the The Railway Children. With modern video techniques and the latest locomotives at the head of the train we tend to forget Santa specials of past years. In this wonderful atmospheric black and white archive film by Phil Whitehead, converted to modern format, we see 2-8-0 8F 48431 and 0-6-0 Pannier 5775 get to grips with their train on the climb out of Keighley. Both engines are now retired and await their turn in the restoration queue. We would love to hear from other enthusiasts who have archive film that we can feature in future months .. they say nostalgia is not what it used to be. It is! 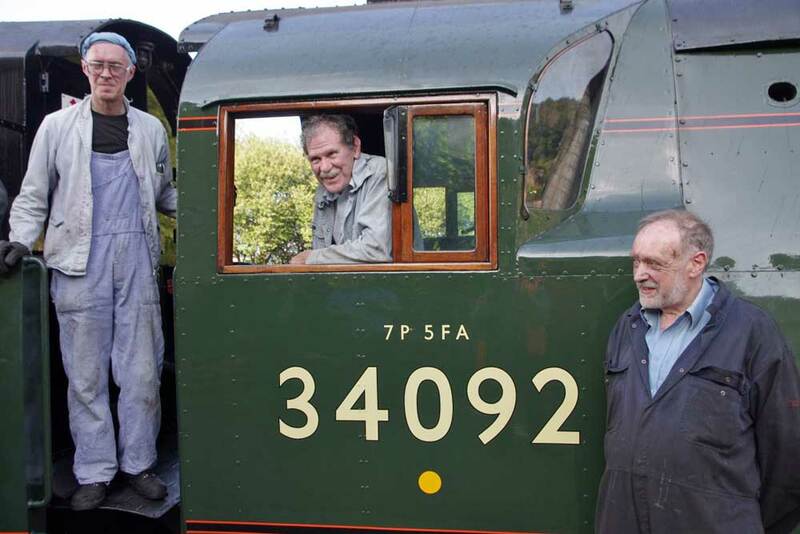 Thankfully a sunny day made for great photographs and video of the long awaited return of ‘Big Jim’. 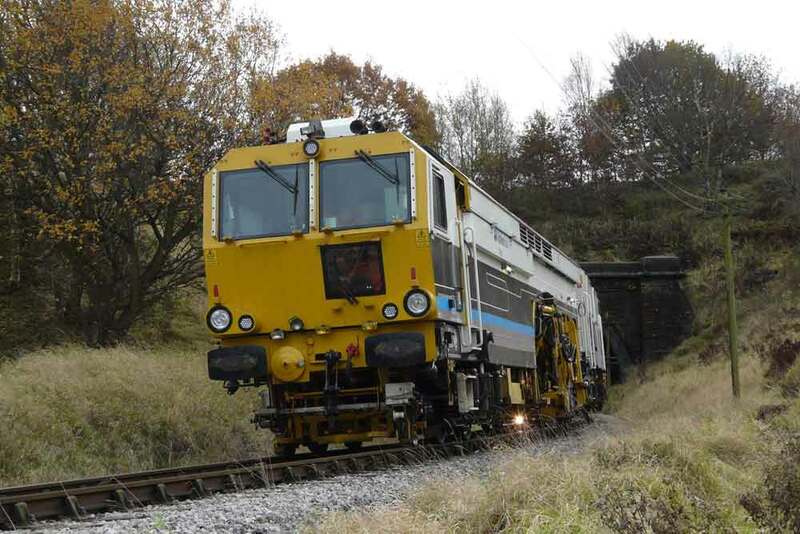 Below are two YouTube videos, excellent coverage of the day’s proceedings by UK Steam Films at various locations along the Valley and Phil Whitehead’s short video has 95820 solo approaching Oxenhope. 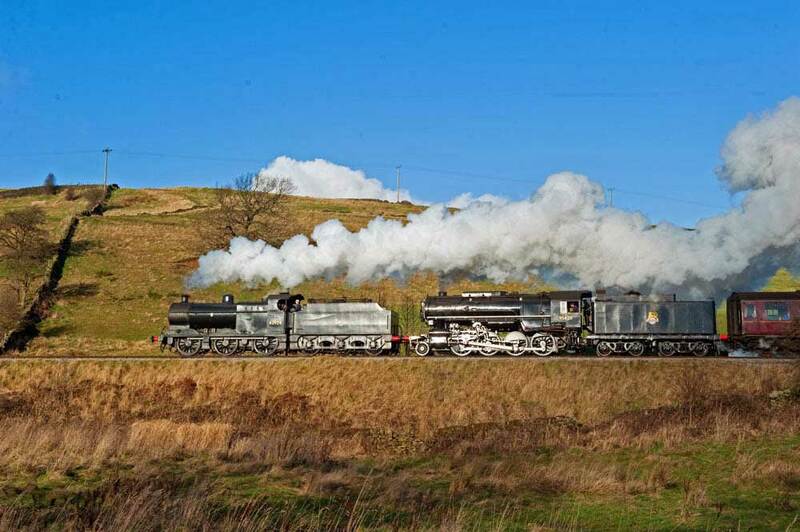 Click here to view a video taken today, as the newly restored USA S160 95820 (alias 5820) passes Damems Junction signalbox in tandem with 43924 and the image below sees the pair approaching Oakworth.